Lorde’s newest album Melodrama presents a lot of the same sounds as Pure Heroine: slow ballads such as “Liability” and tunes constructed of syncopated synths such as “Sober” alternate in a nicely balanced pop record. But while Pure Heroine crystallizes the more broad, resolute experiences from Lorde’s years as a teenager, Melodrama is full of songs that look inward and distill the complicated feelings of her adulthood. 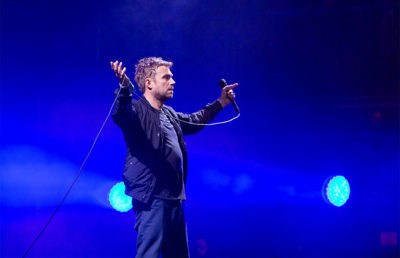 The emotional differentiation between Lorde’s lyricism in the two albums isn’t always obviously apparent, however, given their sonic similarities. This was evidenced by the audience at Lorde’s show at Outside Lands — as Lorde performed, her set crisscrossing Pure Heroine with Melodrama, the audience sang along unreservedly loudly. Before beginning her performance of “Liability,” Lorde commented on the irony of performing a song about being alone to so many people. 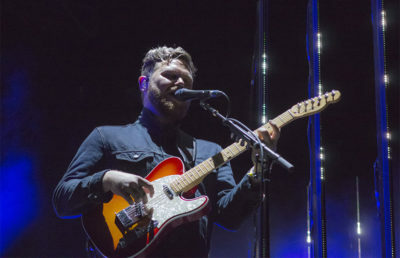 Whatever the audience members’ motivations to sing along — whether stemming from an appreciation of their own friends, a desire to show Lorde she is in fact not alone or something else entirely — there was a tonal disconnect between Lorde’s vulnerability and the happiness that the audience carried throughout the set. In this sense, Lorde’s set was at its most effective when it was purposefully joyful. Before playing “Liability,” Lorde introduced her friend Jack Antonoff of Bleachers. The two sat at the edge of the large stage, swimming in the blackness of the darkened screen behind them. They played a cover of “Me and Julio Down by the Schoolyard” by Paul Simon — Antonoff strumming an acoustic guitar, the vocal line alternating between the two of them as Lorde danced with her shoulders. The small moment was innately happy, so the ever-consistent smiles of the audience felt better-placed. 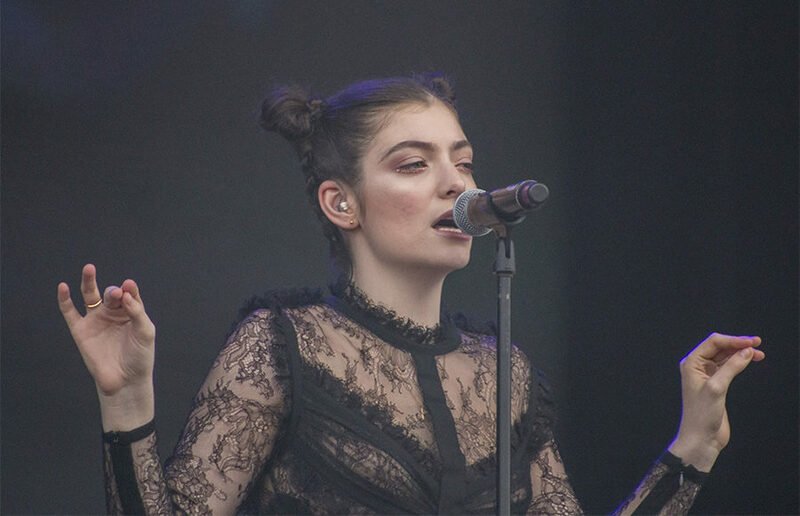 Far before either of those songs, Lorde performed a live debut of “Hard Feelings” from Melodrama, and again the excitement from the audience was fitting. But possibly the most perfect moment of Lorde’s set was her performance of “Homemade Dynamite,” cuddled into the middle of her set. When the song reached its chorus, Lorde danced enthusiastically and unrehearsed in front of the routine by her crew of blue-clad backup dancers — her arms flailed and her hips rocked as she swung her head back in forth in time to the beat, smiling infectiously. For Lorde — and everybody in the crowd — all their friends were in the right place, it was the right time, and the right song was playing.